I had a completely different idea for this post, but because TT is still not 100%...my pictures took a bit of a different turn. 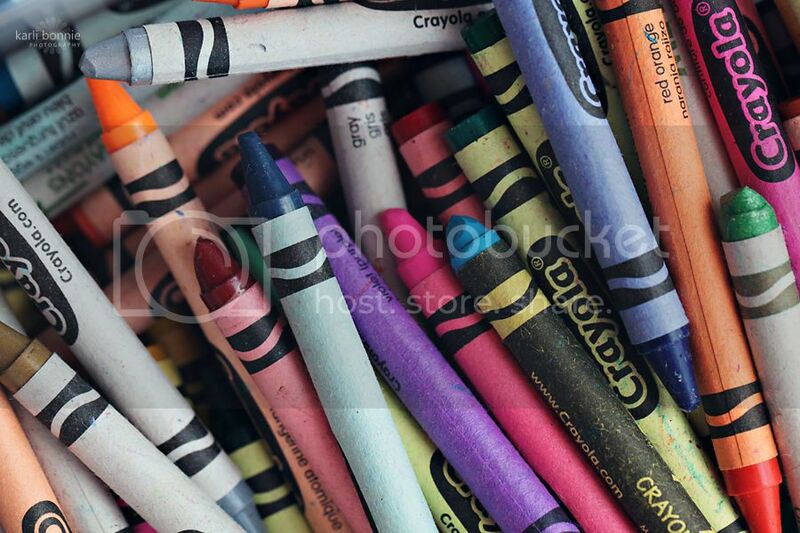 My intention was to capture little bits of my day; the little details (kids included). Have you heard of that blog hop, 10 on 10 (or something like that)? I think you take 1 picture an hour for an entire day (10 hours total) on the 10th day of the month. (Did I get that right)? Anyway...I'm not organized enough to commit to one picture per hour, so here's my version. Just little bits of my day, sans kiddos. Here we go! Fueling up for the day. Heading home to spend the morning with Livia. Sis colored a few masterpieces this morning. They are now proudly hanging on the fridge. Lunch time! (No, I don't eat like a bird. I had a hamburger and a hot dog for breakfast. Yes, really). The old Karli would have been very bothered by that piece of blurry lettuce in the foreground. The new and improved Karli doesn't mind. Edit: Upon closer inspection, the new and improved Karli does mind, but is fighting the urge to re-take the photo. Fast forward to 5:30. (See? ?...I can't commit to one photo per hour). After my macro water drop picture, several of you asked if it would work without a macro lens. A different effect, but still fun. (It's the 2nd picture if you click the link). Later, I wrote "good night" in steam on the mirror after my shower - lame! And I had a couple other ideas in mind to end the day. I wanted to get a shot of some traffic lights at dusk. Or a beautiful sunset on the golf course behind our house. Or little bokeh circles on a nearby lake glistening at sunset. But because TT was a bit of a nightmare this evening (she's still feeling yucky)...please enjoy this picture from the kids' bathroom window. So what do you think? Fun, right? I even tagged this post "the way i see it"...and I think I'll have to try it again. These photos are absolutely stunning! I LOVE the first & last shots! I am obsessed with sunsets. Gorgeous! Awesome.. have a safe trip! I love 'em, especially the shower shot or whatever that is. (Sigh). It took me a while to figure out the bane of your existence (Bane #2). Yeah, a tad bit slow today. Your day is much prettier than my day. I was thinking on my way to work this morning that I should come up with a new way to work...a much more scenic drive or something. I'm getting bored with my current drive. Okay, enough rambling in your comment box. Loved them all. Awesome! 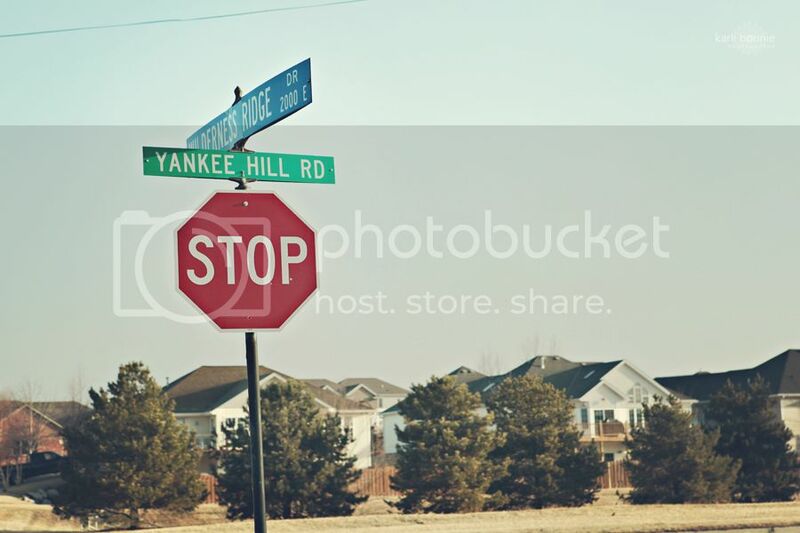 Love the name of that road-Yankee Hill :) Also...sorry TT is still under the weather! I love your bubbles shot and the water shot! Great post! And great photos as usual!! Love the bubble shot and so hope the bane #1 makes it to my house. I have not a dishwasher in 3 years... but I now have one in the basement waiting for the tax return to buy countertop!!! I'm so excited. Karli - ok, a few things - I can not see your pictures? It is an 'x' with Photobucket on it? Very fun post and great pics! I like this idea. The theme of my house today would be: piles. They seem to be everywhere and would not be too pretty in a photo. Break time is over - back to work! Such an interesting idea! Thanks for giving us a glimpse into your daily life. And as always, love the creativity in your shots! Love your photos,as usual :). I really love the colors in that bubble photo! 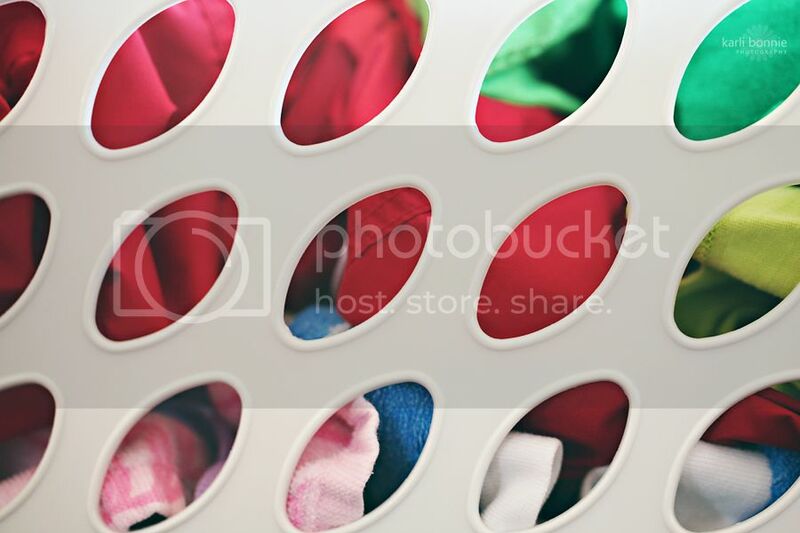 and who would think to photograph their laundry through the basket. so cool! great shots of the every day. That salad looks good. 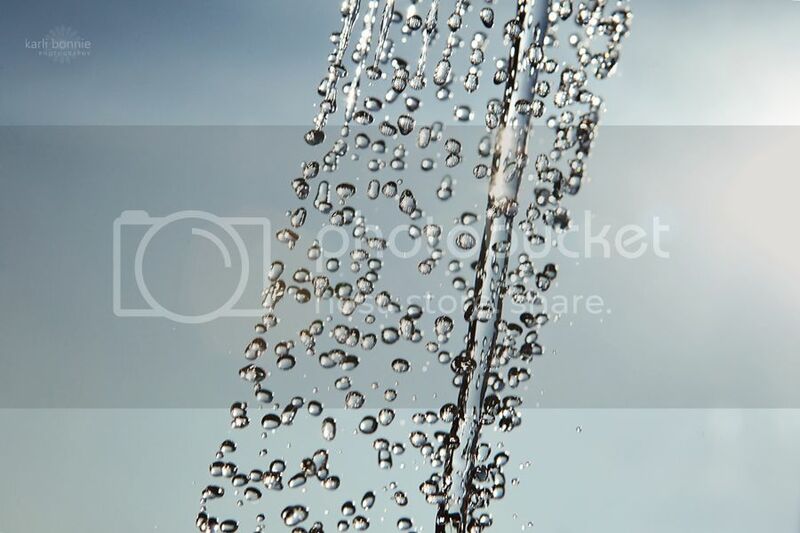 Love the water shot, wish I had a water sprayer like that to play with captures. Need to see TT art work. Fabulous! I don't know which one is my favorite- maybe the laundry? Love how you can find photo ops EVERYWHERE! Inspirational! Oh, I hate dishes and laundry, too -- if they'd ever just STAY DONE for a bit!! lol! 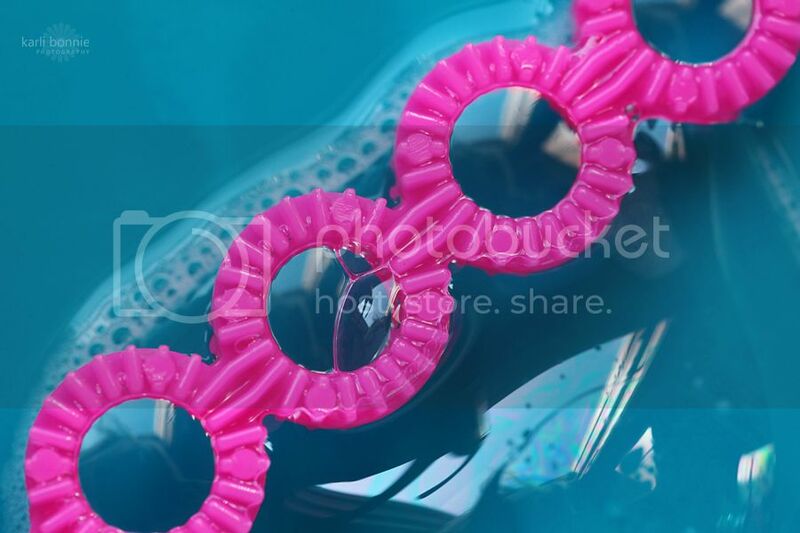 Love the water shots, something else to try now! I'm proud of the new Karli!! lol! You're back :D I missed you haha in a non stalker way of course. I know you updated below but this is my first time getting back on blogger in a few busy days! 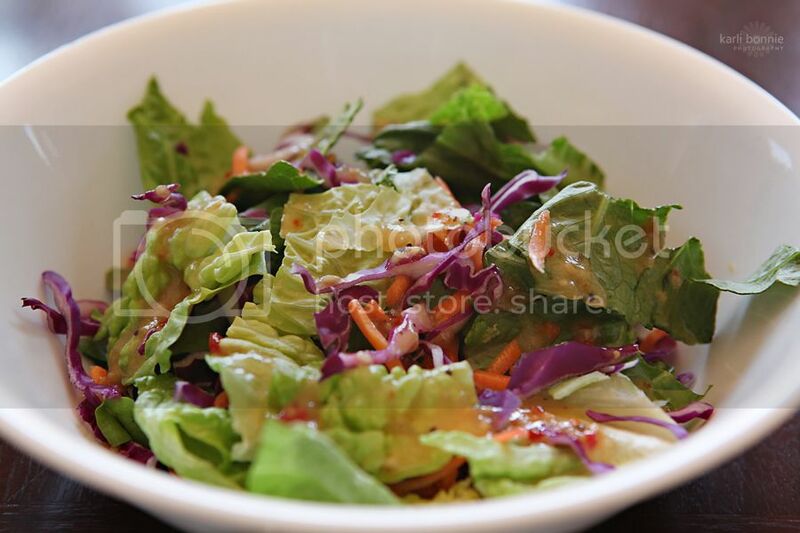 love the photos as always and I should be eating salad myself! What a great idea and beautiful photos. I love your water shot and I totally agree about the washing up and laundry! 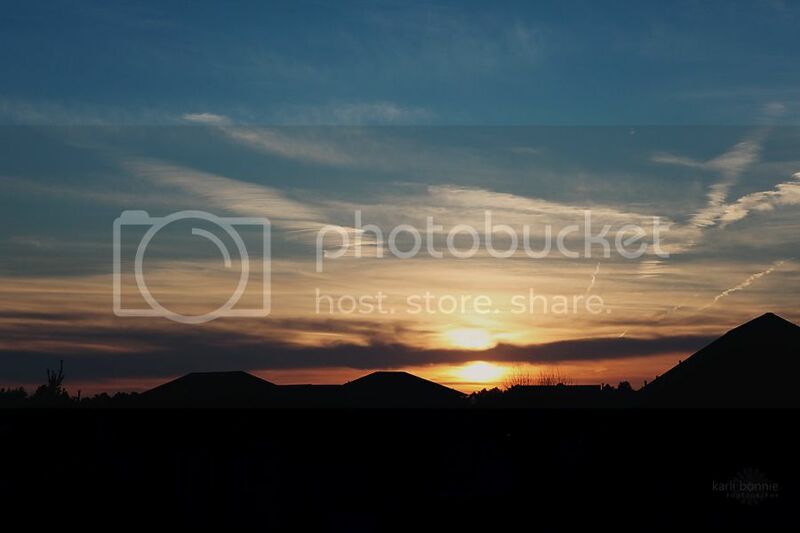 That sunset is really gorgeous. Have a great week. The kids bathroom window is equally beautiful! I love sunsets and they are so rare around these parts due to the constant grey skies. yes I am on vacation and I need to stop cleaning and start shooting - that's my goal!!! love the view outside your kids window too!! Looks great. Love seeing your day. Love this post, you work so hard. That water, wow. Love this idea. I've seen that blog hop and thought about doing it myself, but the whole 10 picture thing scares me. I like your take on it and might have to try it myself sometime. These were just awesome. Salad made me hungry. ps. I have a new account, blog URL....too many issues with my old one so I am starting over! I wanted to answer your question on the moon shot I took like 8 captures but I used my 55-250mm lens. The first few my hands shook cause I was so excited but then I got more steady. 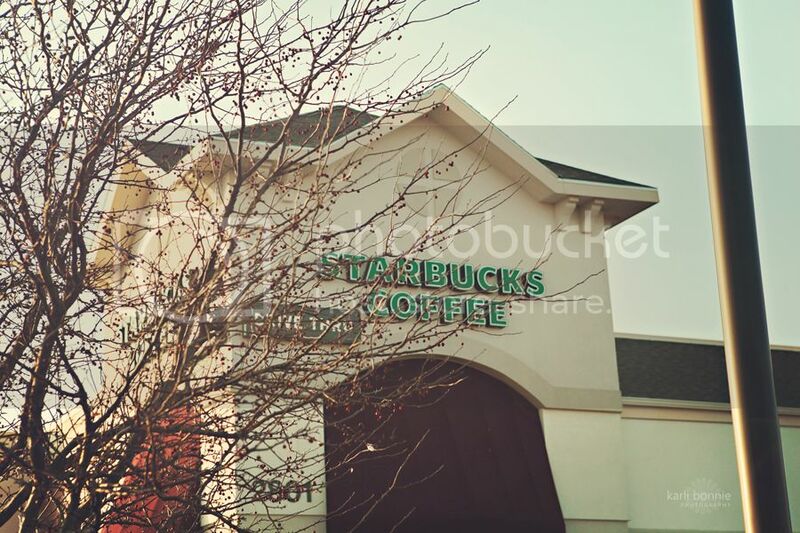 It still is not perfect I want to try again with my new camera when I get it.. a canon T2I, so excited. These are very cool Karli! I did a similar project about a year back ( I jsut posted it on my blog) and thought it was a lot of fun! 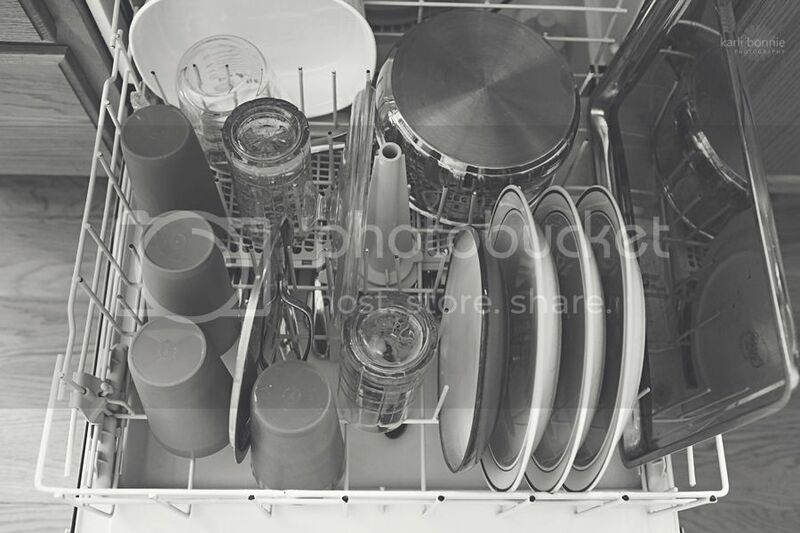 I love your street scene...and ugh dishwasher....I hate doing dishes! Well, I like the way "you see it"..... these are AWESOME!! Why are you beating yourself up about the lettuce photo? I actually like that look and sometimes purposely go for the blur in the foreground of the photo depending on where I want to draw the viewers eye. Hope that Miss TT is feeling 100%.... Just in case you don't get to post before Saturday.... HAVE A GREAT TRIP!!! PSS.... just noticed my Visions banner at the bottom of your blog. Thanks so much for adding it... you are so very sweet and I feel honored that you would post it.